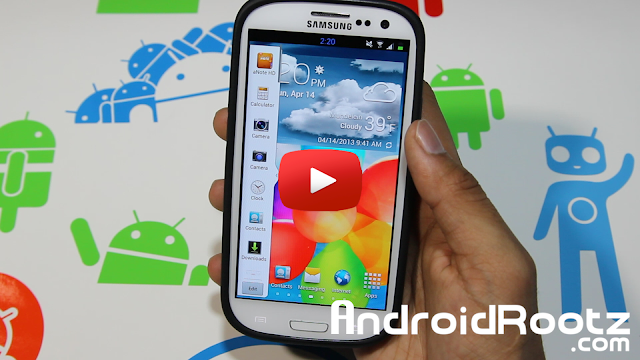 HyperDrive ROM for Galaxy S3! [S4 Features] [T-Mobile/AT&T/Verizon/Sprint] [S4/Sense 5/XperiaZ THEMES] [Multi-Window] ~ AndroidRootz.com | Source for Android Rooting, ROMS, Tricks and More! With the latest realease of HyperDrive for Galaxy S3 you get massive amounts of features that anyone would appreciate! You get 4 different launchers AOSP, TouchWiz, Sense 4, and XperiaZ launcher. Once you find a launcher that fits your needs you get go ahead and disable/uninstall the rest of them if you want. With the ROM you also get Galaxy S4 features! You get Galaxy S4 weather widget, S4 S-Voice (fully functional), S4 S-Translator (microphone doesn't work), and even settings is themed like the Galaxy S4! HyperDrive also offers a fully functional multi-window feature that is also smoothly themed with the Galaxy S4 look! It includes HD Galaxy S4 wallpapers and Sony's Xperia wallpapers! You must try out this ROM to truly experience all the features you get with it! And once you tried the ROM let me know in the comment section below!